Just like any modern day country performer worth their salt, Cody Jinks from Ft. Worth, TX regularly pays tribute to Country Music Hall of Famer Randy Travis in concert, specifically including Randy’s 1986 #1 “Diggin’ Up Bones” in his set lists, and usually preceding it or following it up with some kind words for the country legend. We know Randy listens to Cody Jinks, because Travis regularly features Cody on his Diggin’ Up Songs playlist on Spotify. Cody’s “Hippies and Cowboys” has been featured on the playlist in the past, and “Somewhere Between I Love You and I’m Leaving” is currently on the playlist. Cody Jinks is one of multiple independently-minded country artists re-writing the script on what is possible for a performer without mainstream radio support. His Rounder Records debut Lifers released in 2018 went #2 on the Billboard Country Albums chart, and Cody regularly sells out venues across the country. Randy Travis currently lives just outside of Tioga, TX on his Chrysalis Ranch, which is about an hour from Ardmore, Oklahoma. Probably a common sentiment, but the first time I ever heard Cody’s voice I immediately thought it sounded pretty close to Randy’s. Not an imitation (you can’t imitate that voice), just a natural gift. Jeez, that had to have been a big thrill for Cody. While watching the clip, I was chopping onions, I swear. Those weren’t tears, it was the onions. Onions …of course …..that’s what it must be …. Cody Johnson is having his “breakthrough” moment right now, which is long overdue. If he can channel the Cody Jinks of the “I’m Not the Devil” era on his next album, you may be right. Time will tell. I’m thinking that if Jinks hasn’t already has a “breakthrough moment” with all of the music that he has put out, then it’s probably not gonna happen. But that just means that mainstream radio won’t accept him and he won’t win any awards. He has a huge following and he’s done it all on his own and i think he is happy with that. At this point I don’t think he cares. Highly doubtful he’ll ever have a big commercial crossover moment at this point in his career, but he’s established his own personal cottage industry already. He’s got a great following, his own music festival, and some product endorsements etc. I think he’s gonna occupy that space comfortably for the rest of his life, and I’m gonna guess he’s perfectly fine with that. This was an amazing and EPIC night! Being there was a complete honor! Seeing Cody actually crying just shows what a true and humble artist he is! I can hear Randy singing ‘somewhere between…’ cool story I wish Randy could sing again. Cody Jinks’ voice is mesmerizing and his musical influences are apparent in his sound and a keen ear can hear Travis, Whitley, Haggard …distinctly, as well as collaboratively. Cody Jinks is BOSS and what an inspiration to have the privilege of hearing and seeing this epic artist in action, breathing new life and hope in a country music industry that has lost it’s way AND traditional values & sound with the cookie cutter puppetry “acts” corrupting and polluting the radio airways. CODY JINKS is proof,, REAL COUNTRY MUSIC is still ALIVE! I was at the show in Ardmore, OK. My 6th Jinks show in 2 years. Cant get enough of it! FLOCK ON! Cody’s obvious, humble reverence was my favorite part. It was also really cool to see a transcendent legend paying it forward with no strings attached. But would somebody please put away the dang onions!!!! I’m totally in love with Head Case, but can’t get into the rest of Lifers. Any of you Jinksaholics have recommendations for other songs I should check out? All of them. But some of my favorites are Mama Song, David, Fast Hand, Been Around, Hippies and Cowboys, Loud and Heavy, We Get By, No Words, Give All You Can, Heavy Load, Grey, Vampires. Too many to list right here. Lifers isn’t one of his best, but that’s due to how high he set the bar. I recommended Me or You, Rock and Roll, Birds, David, I’m Not the Devil, Give All You Can, No Words, Memory and a Dream, Alone, Hippies and Cowboys, Heavy Load, Mamma Song, and more. Just a hunch but I think Jinks’ next album will set a new standard. Will it be a hit on the radio or awards shows? Maybe not but who cares. Last Call for the Blues is an awesome song along with all those mentioned above. You should hear Scott Copeland sing it! I LOVE I cast no stones! I cast no stones is a must. Check out “think like you think”. Great little known jinks song that become a favorite of mine. Somewhere Between I Love you and I’m Leaving. That song is pure country gold if there ever was such a thing. Just pick up the Adobe Sessions, and Less Wise albums. You’ll be fine with those two. 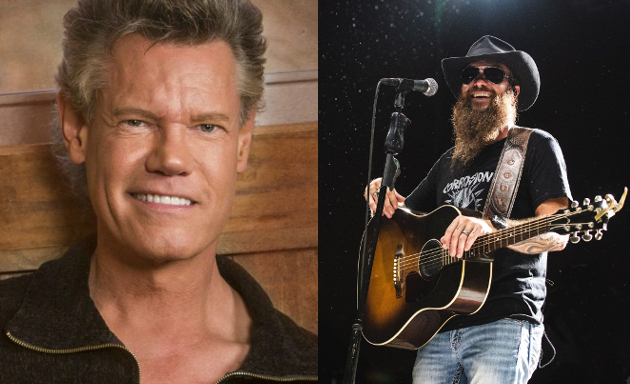 To be honest, NO one can replace Randy Travis. He was and is the absolute best!